Take it to a watchmaker to get it removed (and perhaps sanded a bit on the sides) before you scratch your watch! I find this bracelet very easy to remove but a thin springbar tool helps. panerai7777, dawiz, Horoticus and 1 others like this. julywest, jmsrolls, billr and 7 others like this. Welcome to the thread, Scott! Last edited by jmsrolls; July 13th, 2015 at 02:15. After trying the watch on while on vacation a couple months ago, I just couldn't shake it. Gave in. julywest, GTTIME, dawiz and 3 others like this. 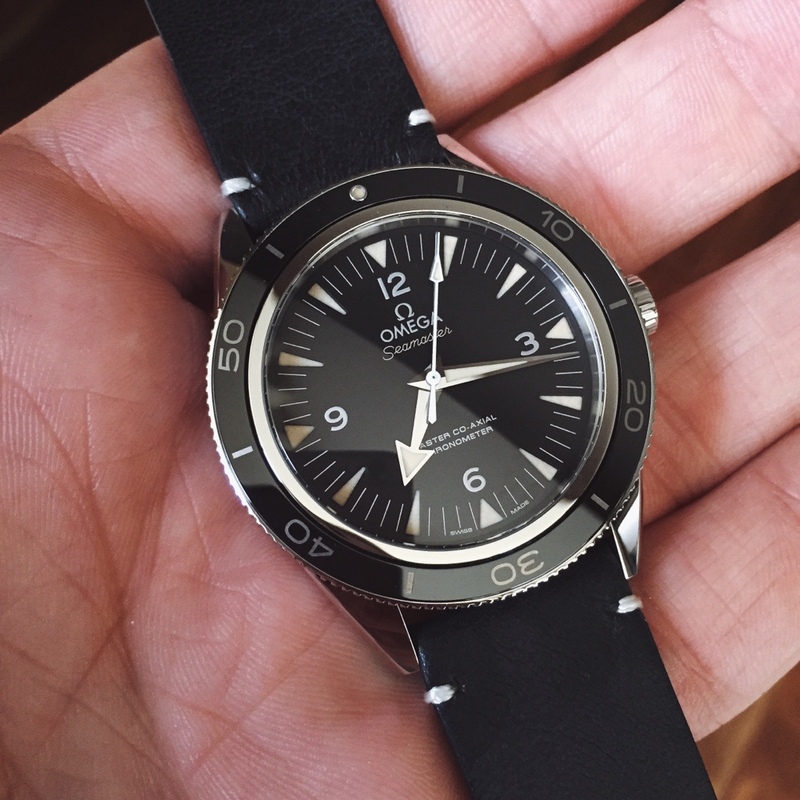 ls this the omega strap lined with leather?? Looks great!